EA sports recently revealed the player ratings for the FIFA 19 game which is scheduled to hit the shelves on September 30. 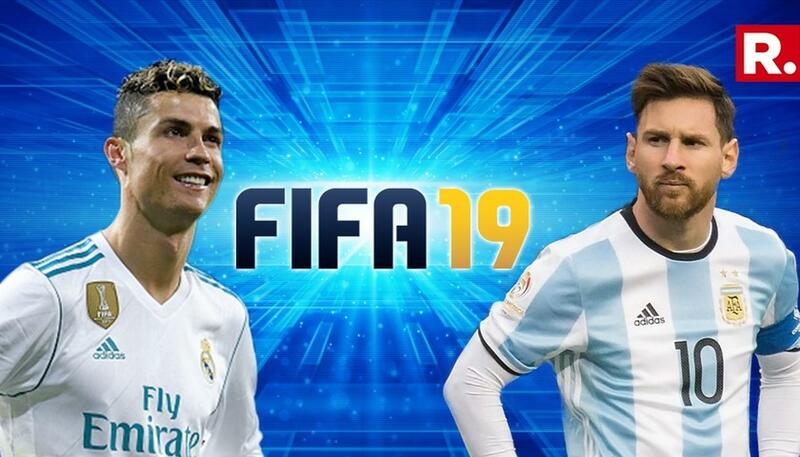 Cristiano Ronaldo claims bragging rights over his fierce rival Lionel Messi after EA sports announced the player ratings for the FIFA 19 game which is scheduled to hit the shelves on September 30. The Juventus newboy sits on top ahead of the Barcelona talisman as the game's highest rated player. While both Ronaldo and Messi have been given scores of 94 out of 100, the Portuguese superstar enjoys better stats in the pace, shooting, and the physicality department as compared to the diminutive Argentine. Incidentally, Cristiano Ronaldo, who is yet to register a goal in Juventus colors since joining from Real Madrid, will also feature on the cover of this year's edition. Lionel Messi was the face of the popular video game for 4 years, until EA sports acquired the image rights of Ronaldo in the 2018 edition. Paris Saint-Germain's forward Neymar Jr sits at the third spot with a rating of 92. But, there is no doubting the Brazilian attacker's popularity in the game given his extraordinary skills moves and his five-star rating for even his weak foot. At fourth place comes as a major surprise, with Real Madrid midfielder Luka Modric surging into the top 5 for the first time since the inception of the game. The Croatian, who was recently awarded the UEFA Best Player award and is a strong contender for this season's Baloon d'Or award, sees himself secure a rating of 91. Kevin de Bruyne is another player who has made the jump into the top half, with his international team-mate Eden Hazard sitting behind him in sixth place. Completing the top 10 list is David de Gea, Sergio Ramos, Luis Suarez and Toni Kroos. Interestingly, all these top 10 players have been nominated to the 55-man shortlist chosen by FIFA for the FIFA FIFPro World XI. This year marks the 14th edition of the FIFA World XI, which was established in 2005 by FIFPro, the worldwide players union. They later merged with FIFA in 2009, and it was hence called the FIFPro FIFA World XI.